There are times in the year when home is the best place to be and this weekend is a perfect example. 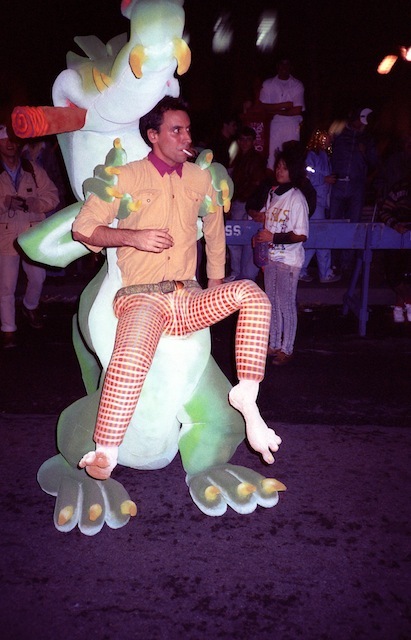 This Saturday, October 31st, join NYC’s 42nd Village Halloween Parade! Over 50,000 people walk down Sixth Avenue wearing the most creative, hilarious, scariest, wacky costumes you can imagine. And this is a time when talking to a stranger who looks like a zombie in a New York street is a quite normal thing to do. So embrace the fun and don’t be scared. NOTE: costumes are mandatory for those who actually want to walk on the parade but if you prefer to just watch it, thousands more will be waiting for you so just make sure to get there on the early side so you can grab a good spot on the sidewalk.